Eric has been in the aviation industry since 1984. 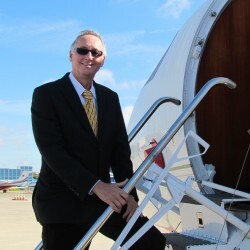 His early experience involved positions as sales managers with three different aviation organizations each with different sales philosophies. The exposure to the worldwide market led him to establish Flight Source International, Inc. in 1994 as an international brokerage firm with the highest standards of professionalism. His philosophy of providing accurate information and presenting opportunities to his clients with fairness has resulted in an extensive and loyal clientele.